The large, semi-circular piece of equipment you see here is a fluoroscopic X-ray machine. It uses an X-ray beam to create images of the body. The X-ray tube that creates the X-ray beam is on one end of a "C-arm." There is a detector on the other end that captures the information as the X-ray beam leaves the body, then creates the image. If you have cancer, blocked arteries or veins, fibroids, back pain or thyroid disorders you may be diagnosed or treated with interventional radiology — a medical specialty that uses X-rays, MRIs, CT scanners and other imaging technology. Many conditions that used to require surgery are now treated by interventional radiologists, who insert catheters and other small tools into the body through small incisions. The physicians use imaging technology to guide the instruments. Interventional radiology is less invasive, making recovery easier and faster than traditional surgery. Most patients who receive this type of treatment in a hospital can go home the same day. In March, Fauquier Hospital debuted a new state-of-the-art interventional radiology suite that is giving physicians the ability to perform procedures using even more intricate, detailed information. 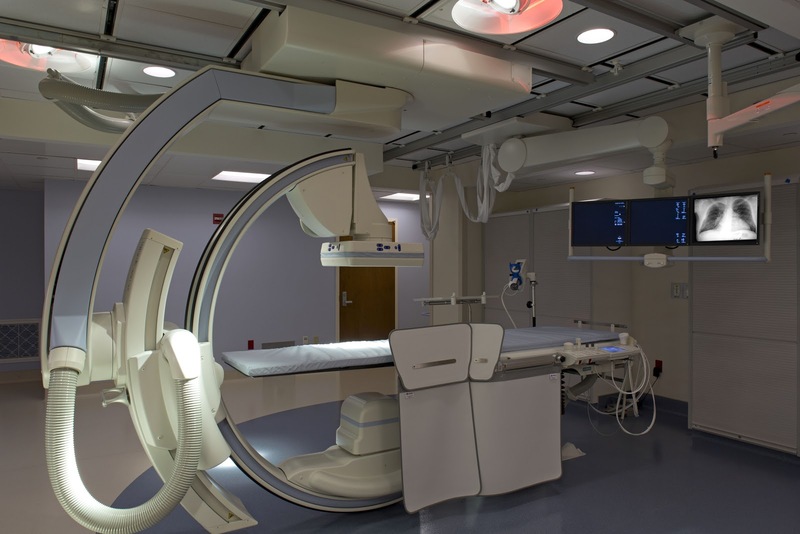 The new suite is equipped with full body fluoroscopy imaging technology. Fluoroscopy is a type of medical imaging that shows a continuous X-ray image on a monitor, much like an X-ray movie. It is used to diagnose or treat patients by displaying the movement of a body part or of an instrument or dye (contrast agent) through the body. Interventional radiologists use various imaging techniques to perform the following procedures.